Chartwell was the family home of Winston Churchill. 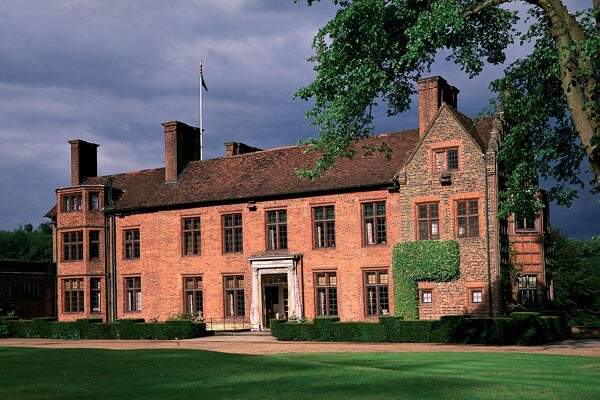 Filled with treasures from every aspect of Churchill’s life, the house at Chartwell provides an opportunity to explore the home of one of Britain’s greatest leaders. The site had been built upon at least as early as the 16th century, when the estate had been called ‘Well Street’. Henry VIII is reputed to have stayed in the house during his courtship of Anne Boleyn at nearby Hever Castle. The original farmhouse was significantly enlarged and modified during the 19th century. It became, according to the National Trust, an example of ‘Victorian architecture at its least attractive, a ponderous red-brick country mansion of tile-hung gables and poky oriel windows’. The estate derives its name from the well to the north of the house called ‘Chart Well’. ‘Chart’ is an Old English word for rough ground. The highest point of the estate is approximately 650 feet above sea level, and the house commands a spectacular view across the Weald of Kent.